It’s official: Iranian President Hassan Rouhani expects the sanctions hampering his country’s economy to be lifted by the end of 2015. Although analysts expect the process to take a minimum of four to six months, Rouhani expects a full lifting of the sanctions within two. Rouhani’s reason for optimism is not clear. Is it due to the fact that he believes, contrary to the analysts, that Iran will have fulfilled its obligations to the P5+1 and rolled back its nuclear program or does he just expect the international community to remove sanctions regardless of Iran’s commitments? Is he rewriting Iranian commitments, just like the Supreme Leader? If you ask Supreme Leader Ayatollah Ali Khamenei, nothing about the agreement – officially adopted two weeks ago, and already well underway – is final, nothing that is not still open to interpretation. Take it from The Wall Street Journal’s Brett Stephens, who wrote this week that although Washington would have the public think otherwise, the agreement is “already a dead letter” – with Iran already “testing the agreement, reinterpreting it, tearing it up line by line” by violating Security Council resolutions, among other provocations. 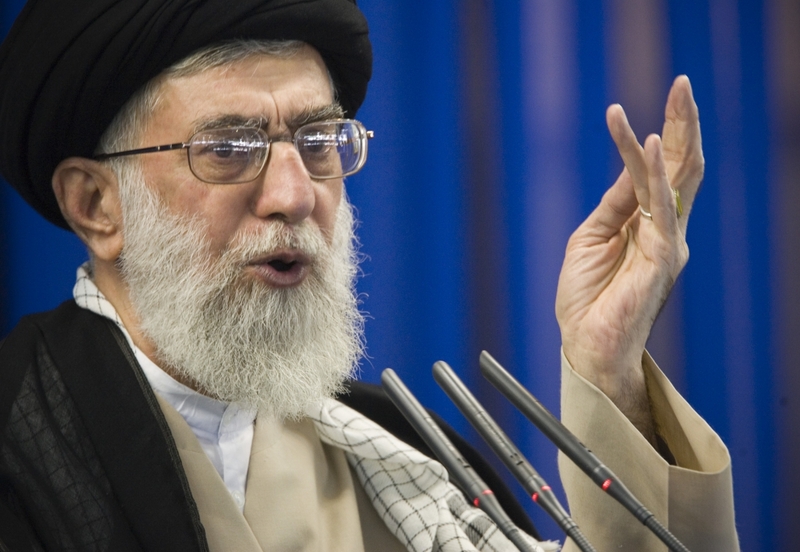 Speaking of letters, Khamenei sent a strongly worded (and public) one to Rouhani this month, reassuring him that the US government’s “prolonged and boring negotiations” on the nuclear issue prove its “hostile enmity” towards Iran – and confirming that far from endorsing the agreement, Khamenei’s aim is a “unilateral renegotiation” of it, to cite Stephens. And, lo and behold, Iran’s “moderate” leadership is already publicly dancing to Khamenei’s tune, which can no longer be mistaken for approval or endorsement. Just days ago, Foreign Minister Mohammad Javad Zarif announced to the Iranian Majlis, or parliament, that the deal would be implemented “in the best way, in compliance with the leader’s views.” Does that mean it will be reinterpreted, as per Khamenei’s most recent missive, or perhaps not really implemented at all? Many questions and complications, no real clarifications.